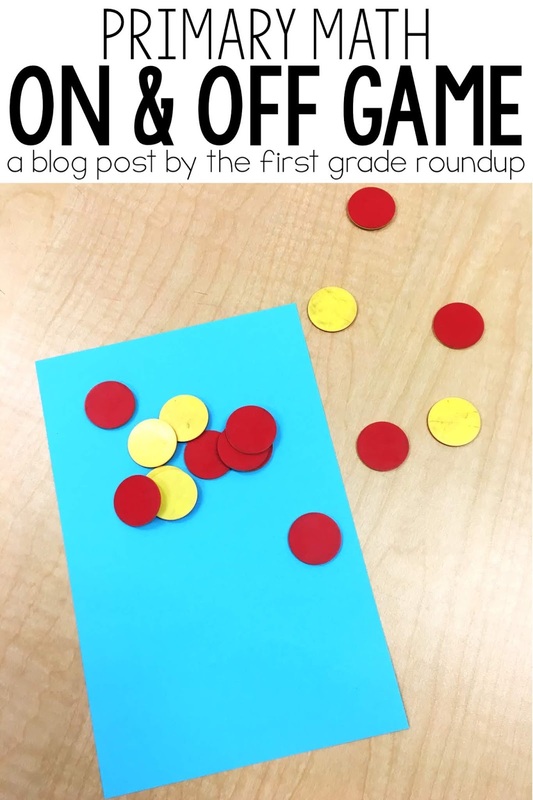 I love using games to build number sense, addition and subtraction strategies, and other math skills. 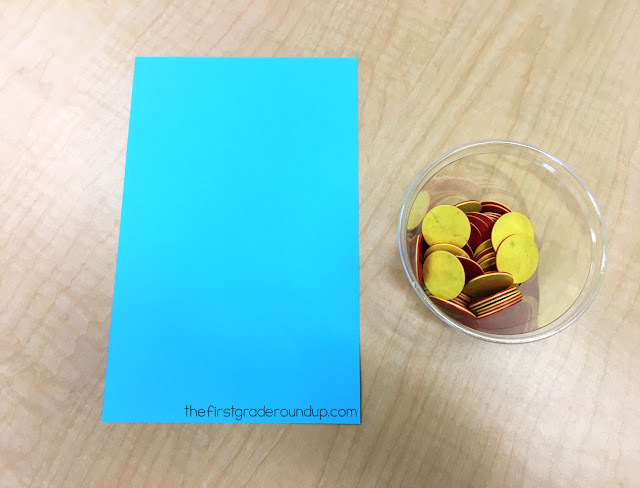 This is the start of a series of blog posts on primary math games I love to use in my classroom. 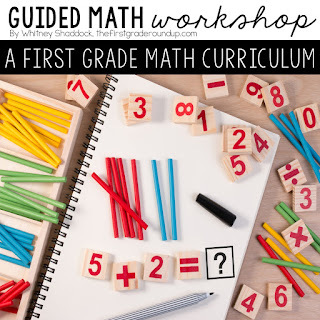 This year, I am writing a Guided Math Workshop Curriculum for first grade. 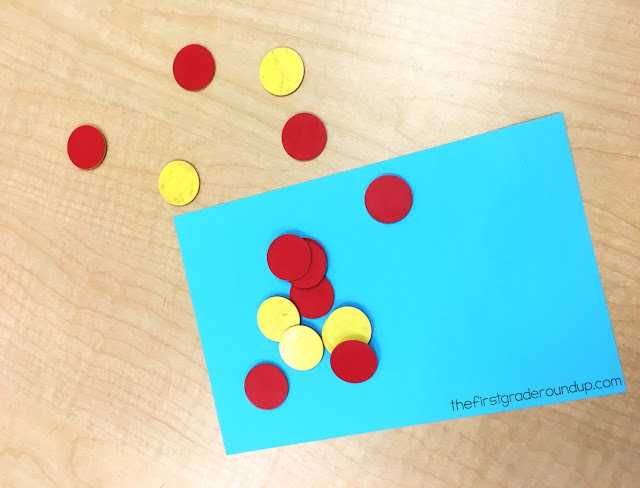 Each week, students are playing hands-on activities, number senses puzzles or games to build their math skills and understanding. I'll be using blog posts to showcase some of my favorite and must have primary math games. And the first one is one we use right at the beginning of the year: On and Off. I love this game because it's so simple. Just put a handful of 2-sided counters into a plastic cup. Then, hold the cup above the mat and spill the counters out. Count up the counters that spilled on the mat and the ones that spilled off the mat. Then, add the on and off counters to find the total. Another reason why I love this game is because it's super easy to differentiate! For my lowest kids, I put 10 (or fewer) counters in the their bag to grab from. That way, when they grab a handful, they grab no more than 10. For my on kids, I put 20 counters in the bag. For my higher kids, I can put even more counters in the bag. Or, I can also add a second mat for them to do 3 addends! I love the flexibility with this game! 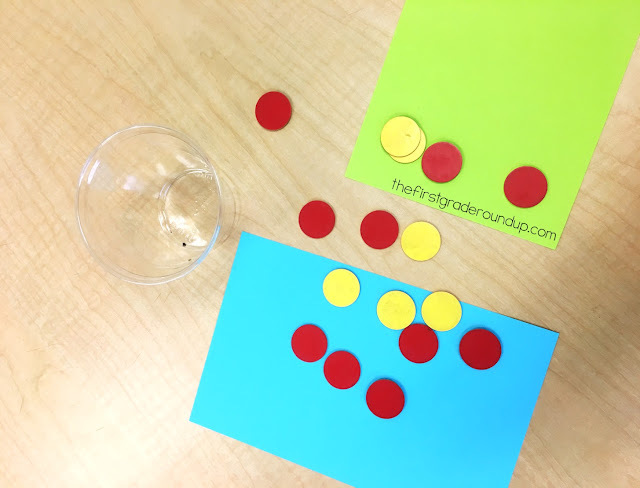 You can find a recording sheet for this and all of my Guided Math Workshop plans here! 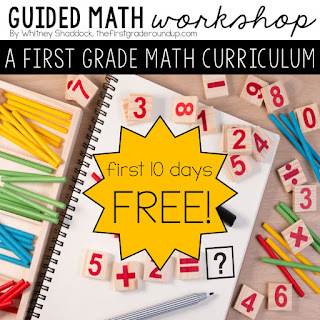 Or try the first 10 days of this curriculum free first!